This tree is no angel. The Tree-of-Heaven (Ailanthus altissma), native to China, is a fast growing, deciduous tree that can reach up to 80 feet in height and 6 feet in diameter. Unlike me, it can flourish in unfavorable conditions and requires little care. So what makes the Tree-of-Heaven an invasive tree species? It is a prolific seed producer - each tree can produce as many as 325,000 seeds - and it grows fast, nudging out native species. The tissue of the tree also contains a compound called ailanthone that is toxic to many other plant species. 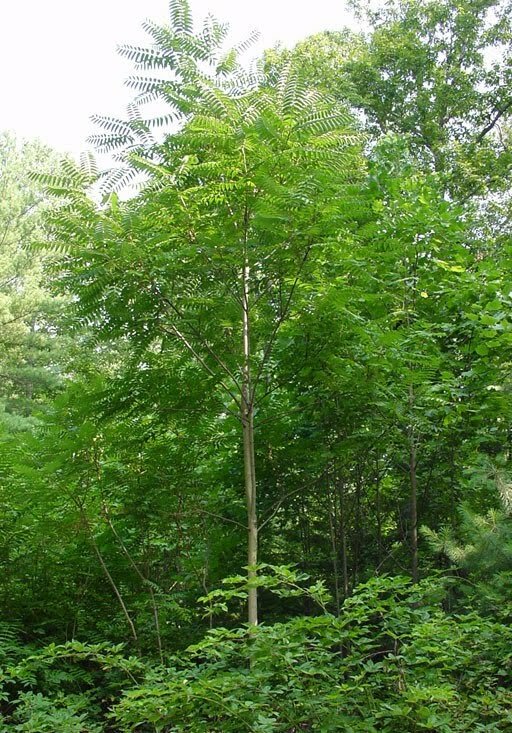 Since the Tree-of-Heaven poses such an environmental threat its removal does not require replacement under the District Urban Forest Preservation Act. Removal is easiest as a seedling and after its rained when the soil is loose. Be sure to remove the entire root since broken fragments may re-sprout. The Tree-of-Heaven is NOT eligible for the $50 Tree Rebate. Visit our website for a list of trees that Casey Trees has had great success in planting in the District.